The Great Lakes region of Africa has seen dramatic changes. After a decade of war, repression, and genocide, loosely allied regimes have replaced old-style dictatorships. The Path of a Genocide examines the decade (1986-97) that brackets the 1994 genocide in Rwanda. This collection of essays is both a narrative of that event and a deep reexamination of the international role in addressing humanitarian issues and complex emergencies.Nineteen donor countries and seventeen multilateral organizations, international agencies, and international nongovernmental organizations pooled their efforts for an in-depth evaluation of the international response to the conflict in Rwanda. Original studies were commissioned from scholars from Uganda, Rwanda, Zaire, Ethiopia, Norway, Great Britain, France, Canada, and the United States. 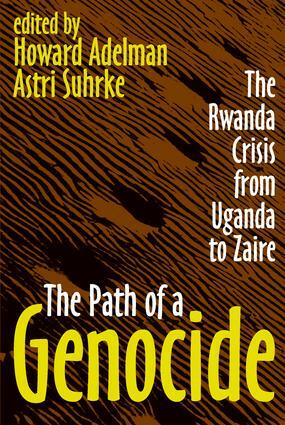 While each chapter in this volume focuses on one dimension of the Rwanda conflict, together they tell the story of this unfolding genocide and the world's response.The Path of a Genocide offers readers a perspective in sharp contrast to the tendency to treat a peace agreement as the end to conflict. This is a detailed effort to make sense of the political crisis and genocide in Rwanda and the effects it had on its neighbors.